Eating healthy doesn’t have to mean slaving for hours in the kitchen. Thank goodness, because that would completely deter me. I am not a fan of cooking everything from scratch all of the time. Once in a while, that’s fun to do, but not as a daily chore. I have partnered with ConAgra Foods to hopefully help dispel some myths about frozen meals. 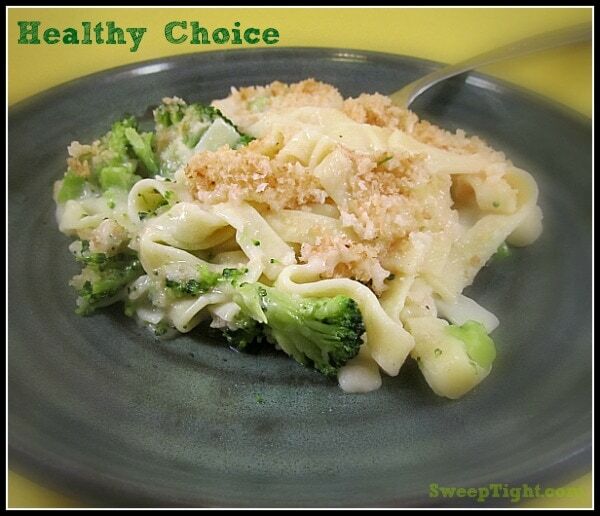 You might be skeptical, but many frozen foods, like Healthy Choice, are great choices for a meal or even a side dish. Frozen meals are not only ideal for a quick bite, but also to go along with dinner. Any of the ConAgra Foods line can complete a meal for your family. When I cook I always like to have frozen sides on hand. I usually make some sort of main entree and then a variety of different sides. I love the convenience of grabbing something out of the freezer. Although this is the easiest for me, I used to feel quite guilty about it. I always assumed that cutting corners automatically means unhealthy. Well, there are many #FrozenFacts that clear up the myths associated with frozen foods. One assumption about frozen meals is that they are tasteless. Well, that’s definitely not the case with this Fettuccini Alfredo Bake that I tried. 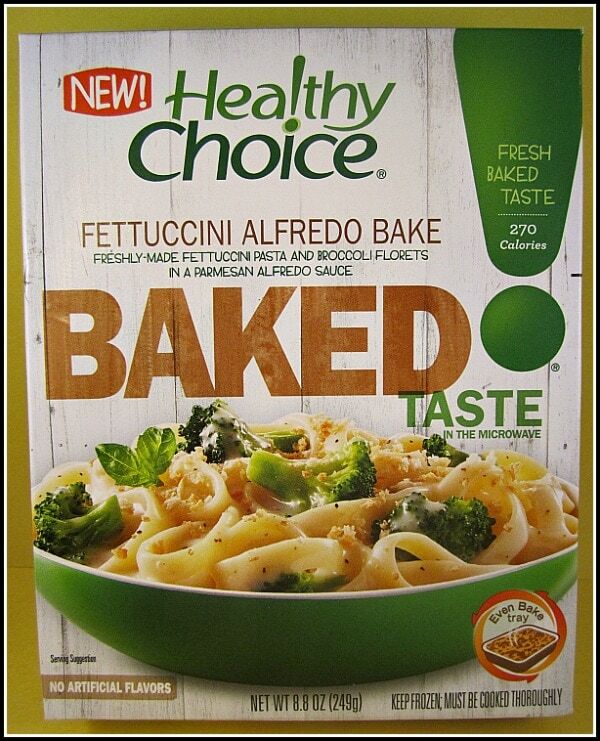 It was super yummy and how else can you eat alfredo pasta for only 270 calories? I totally didn’t want to share this one, but I allowed Mike to try it, too. He agreed that it was better than he would have expected. Another myth is that the meals are heavily processed and do not contain any fresh ingredients. Not true with Healthy Choice and Marie Callender’s meals. They take pride is using simple and fresh ingredients. In fact, most of the fresh veggies picked go from farm to freezer within 24 hours. Obviously, making meals from scratch with fresh, organic ingredients will always be the best choice. Not everyone has time for that, so it’s great to have fast, frozen options! These meals can also make great choices for anyone who is watching their weight. There’s built-in portion control, so that’s ideal for someone like me. I have serious portion-distortion and can eat an abnormally large amount of food before my body registers that I am full! Anyone who knows me, knows I don’t skip dessert. Look at this gem that I found. 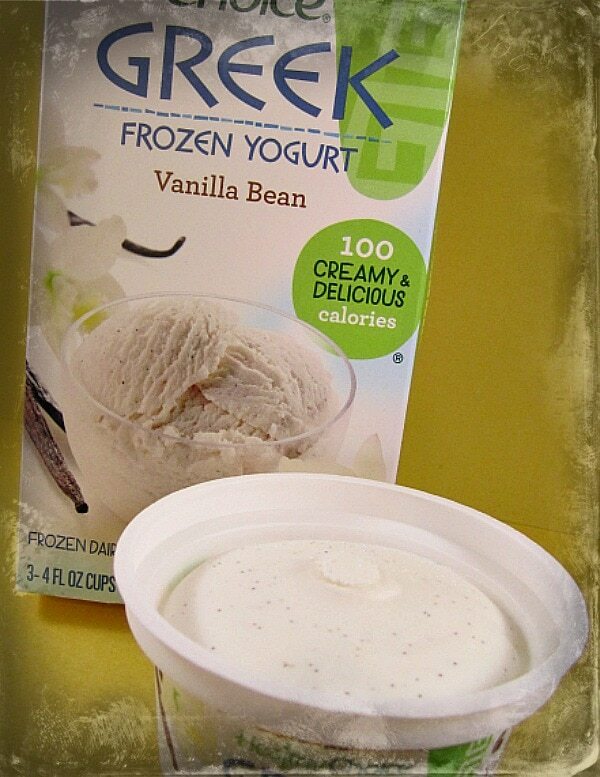 Healthy Choice Frozen Greek Yogurt… Heck yeah! Creamy, tasty and only 100 calories. Love it! I need to start eating better. Love the frozen dinners – they are prefect to take to work, and greek frozen yogurt! Yum!!! That looks delicious! I like Healthy Choice and Marie Callender’s Meals when I crunched for time. They are always so convenient, flavorful, and filling. That looks pretty good to me! Its really had finding vegetarian frozen meals. The fettuccine Alfredo looks delicious! Mmm, that vanilla bean frozen yogurt sounds yummy! Especially with fruit on top. That frozen Greek yogurt sounds really good – I am going to have to look for it when I go grocery shopping! It is great that these dishes are both healthy and delicious. It’s always good to have some backup in the freezer. I buy Healthy Choice foods sometime and enjoy the varieties. I love healthy choice meals! I have to find those greek yogurt cups…!